two terms on City Council as an At-Large Representative, Foxx became the youngest mayor in the city’s history and its second African-American mayor when he was elected in 2009. He was re-elected to a second term in 2011. He discussed his vision for Charlotte and how he has focused on strengthening Charlotte’s economy by developing a 21st century infrastructure system to support the country’s fastest-growing urban area, establishing the city as an international energy hub, and creating an environment in which small businesses and entrepreneurs can thrive. He answered questions from a very engaged audience of CPCC students, including American Government, sociology, and communications classes; Anthony Foxx Scholars; MAN UP students; and Student Government Association members. Photos can be seen here. 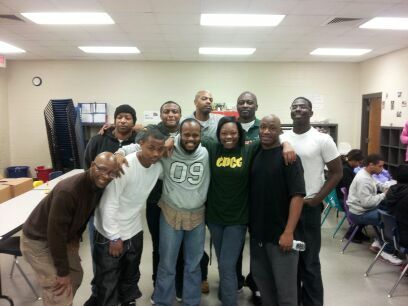 MAN UP team volunteering at the McCorey YMCA. 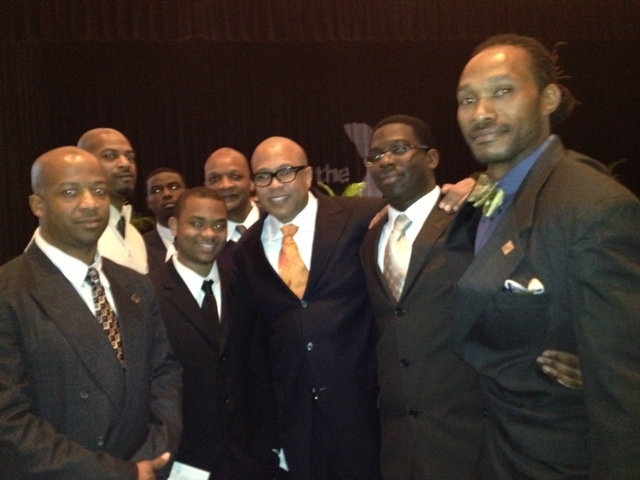 The MAN UP program had a busy weekend as the national celebrated Dr. Martin Luther King, Jr. birthday and President Obama’s inauguration. On Saturday, Jan. 19, the MAN UP students serviced their community by volunteering at the McCrorey YMCA. They spend three hours helping the McCrorey YMCA prepared for the annual prayer breakfast. On Monday, January 21, eight students represented CPCC at the 19th Annual MLK Prayer Breakfast. They had the opportunity to meet and interact with various community leaders and spend one on one time with the guest speaker, Chef Jeff Henderson.